Trump and Kim to meet in Vietnam? Kim Jong-un's negotiator has been sent to Washington to finalise plans for a second summit. Arguably, the best love story of 2018 was the sudden romance that emerged between US President Donald Trump and North Korean Dictator Kim Jong-un. Despite the rollercoaster year that was 2017, with Kim threatening to strike the US Mainland with a nuclear missile, and Trump threatening to 'totally destroy North Korea', the two have been a prime example of 'love at first sight' - if you will. In June 2018, the two went on their first date.. I mean 'summit' in Singapore. 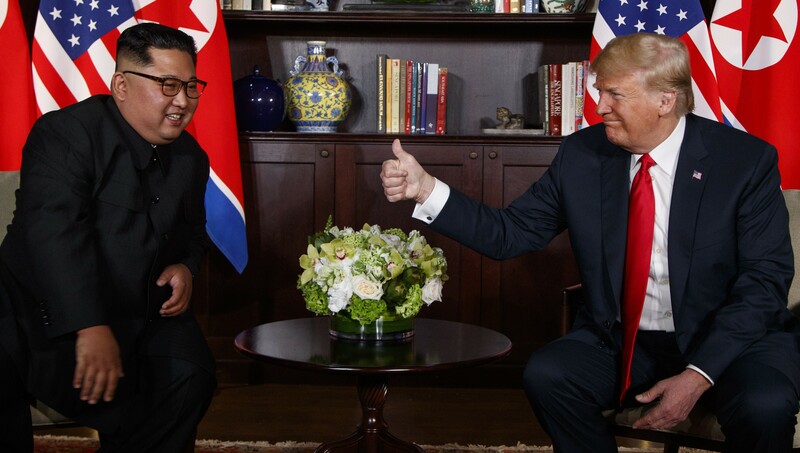 Despite Trump cancelling the meeting a few days before, the pair had a short meeting where they both drew up a draft denuclearization contract. The two both came out of the talks with gleaming smiles, and they both said they were already working on a second summit. Now, Kim's right-hand man, Kim Yong-chol, has reportedly been sent to the White House in order to finalize a potential second summit. Since the send of the Singapore meeting, talks seem to have stalled due to fears North Korea is still making nuclear missiles, something they have continually denied. However, earlier this month, Kim visited China in a private train to meet with President Xi Jinping, where he reportedly discussed meeting with Trump again. Rumors are speculating that the pair are due to meet in Vietnam sometime in February. It is believed that Yong-chol is carrying a letter from Kim to give to Trump, which could be the conformation that Kim is happy to meet with Trump in Vietnam. It seems the second chapter of this love story could be about to unfold.